WOW Lovers Park Escape is another point & click escape game developed by WOWEscape. 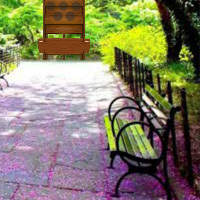 In this escape game, your girlfriend left a hint in this Lovers Park. You have to find that hint and know where your girlfriend is right now by finding useful objects, hints and solving puzzle. Good Luck and have fun! Well these games are not much fun anymore when they are this short. Please go back to the nice long games we all look forward too. I've had longer showers than that! What is going on at WOW??? I always looked forward to WOW games because they were at least 3 levels long.I looked forward to a nice long game. Now their only 1 - 1 1/2 levels long and you hardly get your chair warm before it's over??? Please bring back the long games everyone loved and looked forward to!!! !